Some think they “never fight” but they might be overlooking issues that should be addressed. Others think they “always fight” and might need to ask the question “why”. If there is NO relational value then it is best to address why now and hopefully be drawn back together. The people who say they “always fight” worry me too, but typically they are at least fighting about whatever their ticking bomb is. They just need to figure out how to manage the conflict maturely and effectively. 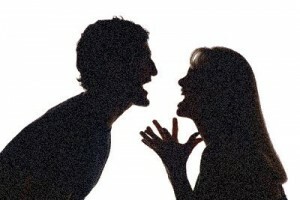 My wife and I are great at this – we never say mean things and never raise our voice…. and we own ocean-front property in Oklahoma. Many times the people I see who can’t manage their conflict effectively are either being selfish, making mean comments, or talking down to each other. Before the next conflict have a productive conversation about how the two of you could treat each other to make the conflict productive. Be considerate adults and work together for the greater good of each other. For goodness sake if you “never fight” don’t be in denial that your marriage takes work and there is probably something being neglected. For those who “always fight” grow up and think about why so you can work on it and get along.